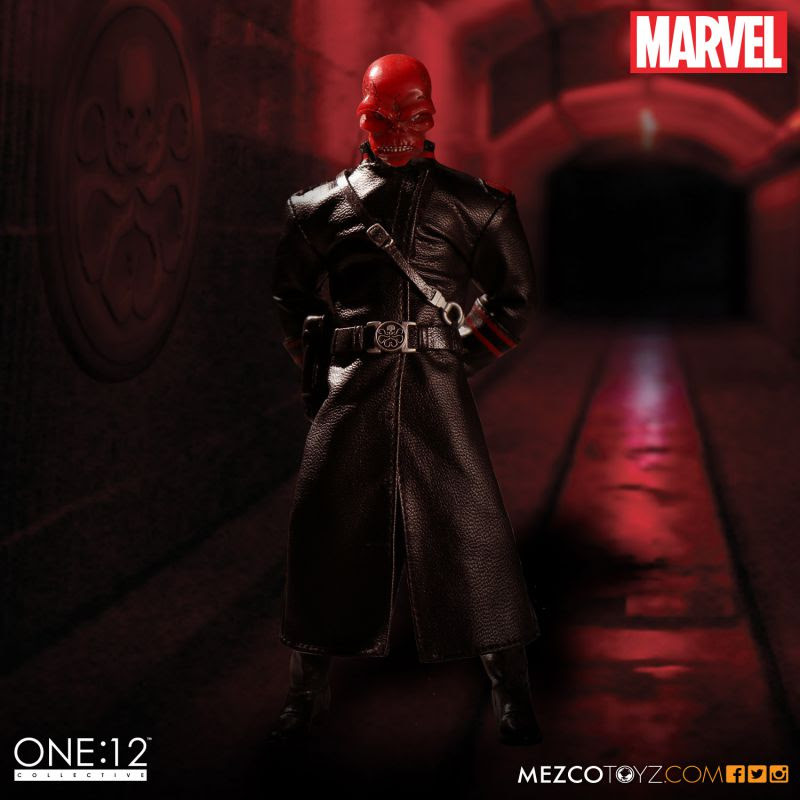 Johann Schmidt AKA The Red Skull; evil super soldier and commander of the world threatening organization known as Hydra. 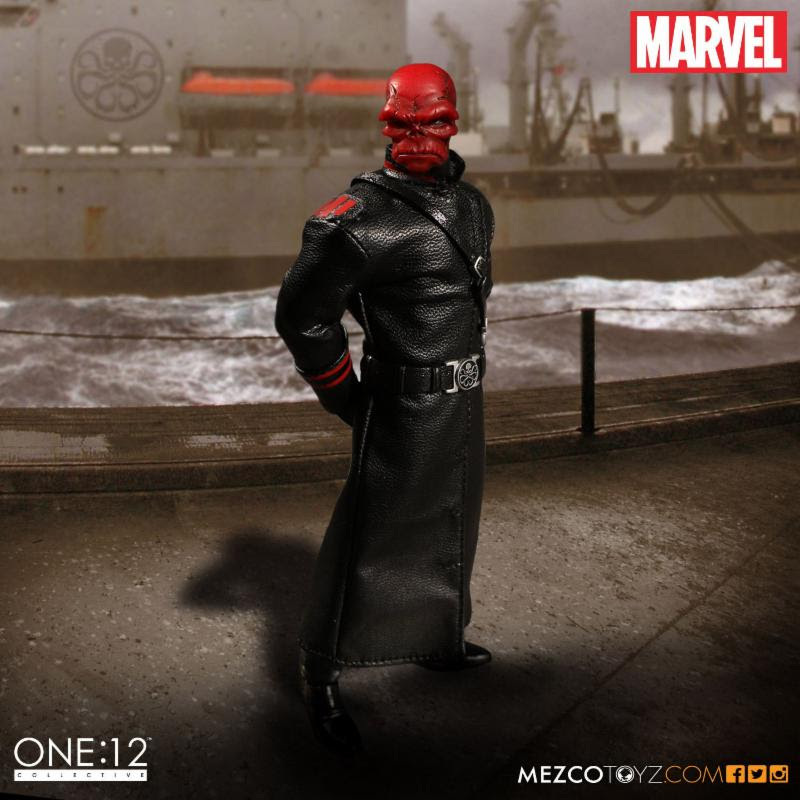 Having aspirations of total global conquest and infused with a version of the super soldier serum the Red Skull quickly became Captain America's archenemy. 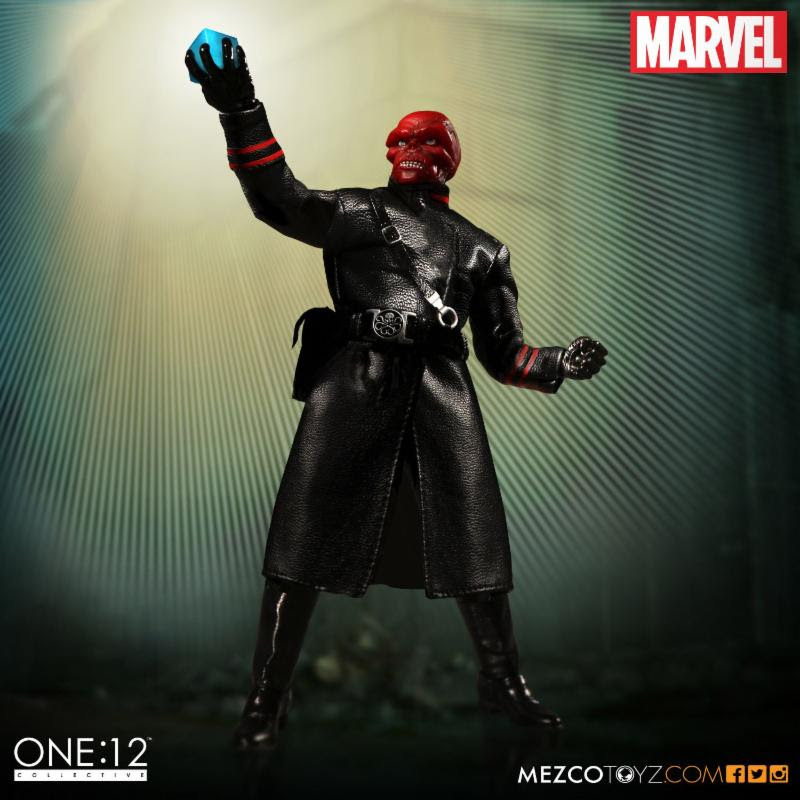 With the militia force of Hydra's army at his disposal and harnessing the untold power of the Cosmic Cube the Red Skull is a constant threat to all of humanity. 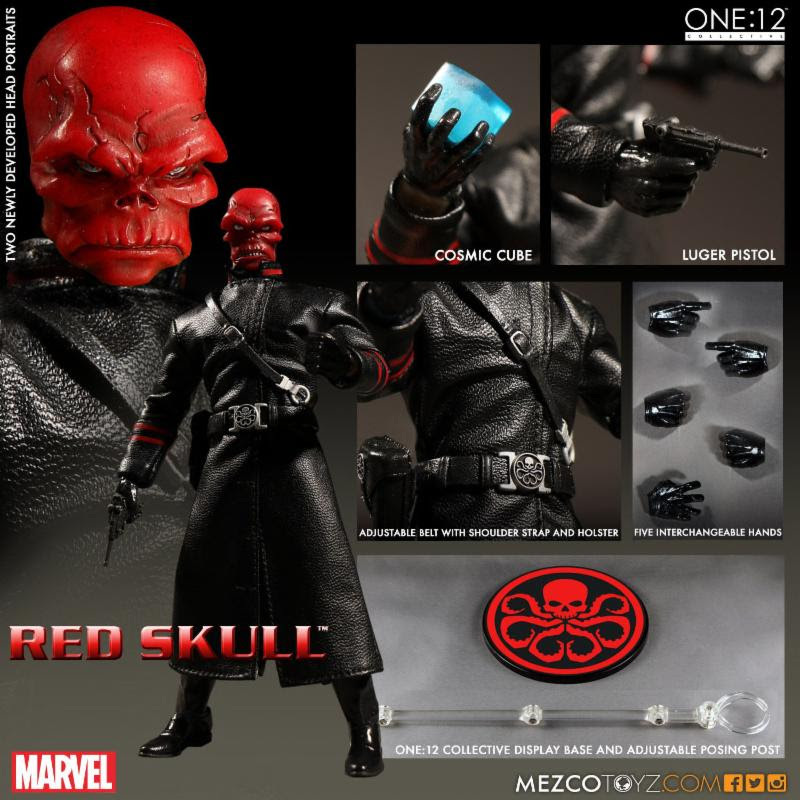 The origin of the Red Skull has had numerous revisions over his nearly 8-decade history. 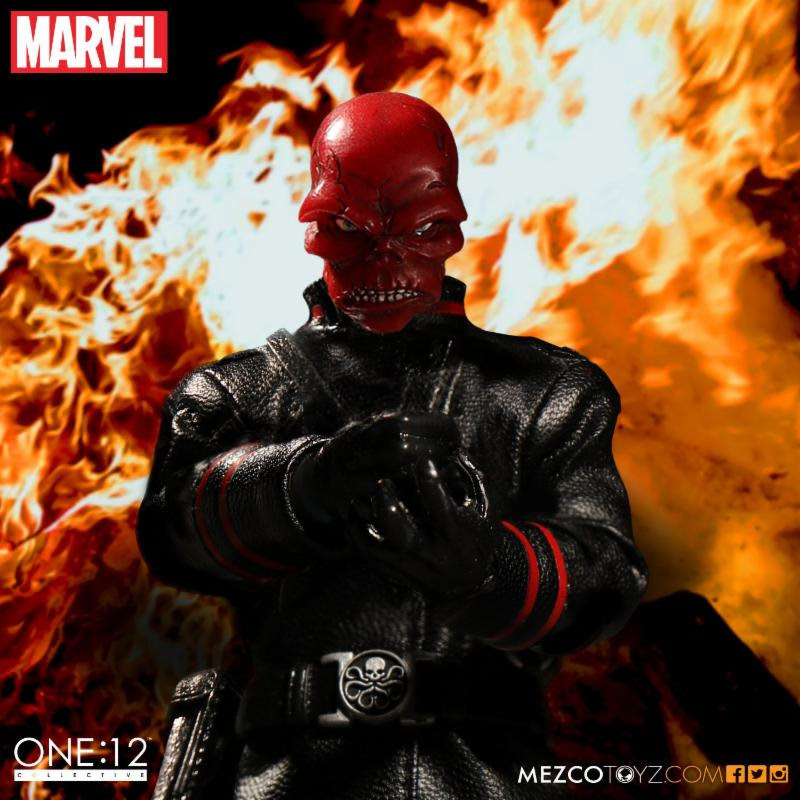 Likewise his appearance has also changed, but the One:12 Collective has perfectly captured the menacingly evil crimson death's head that has remained part of his trademark appearance.